I have a really bad habit of random questions floating into my mind like butterflies and-- instead of doing anything with them-- I just let them float on out. I'm trying to turn over a new leaf; therefore, I will occasionally post one that I've actually managed to capture on a Post-It note. At first I thought about doing this on my blog's Facebook page, but I had another think about it and decided to broaden the scope. You see, I'm really interested in your answers, so whether it's easier for you to respond here or on Facebook, I hope you'll share your opinions. Here goes! Which mystery series that are no longer being written do you miss the most? 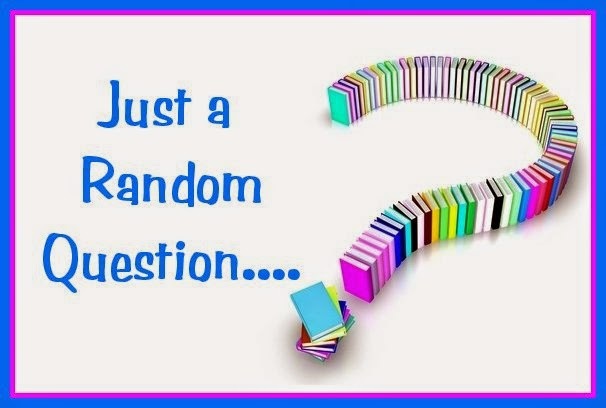 I know that I've become attached to a mystery series or two over the years, and when this question came to mind and I first began making my list and checking it twice, the first place I went to was my "Favorite Mystery Series" page here on my blog. My first go-through left me with about 12-15 names-- way too many for this post. So I went through that first list a second time and narrowed it down to eight. Then a third time to five. The fourth time was the charm: I successfully forced my list down to two names-- the two authors whose series I miss the most. What may or may not be surprising is how different the authors and their books are. There are many reasons for an author to stop writing a series-- losing interest, losing a publisher, or family obligations could be a few; but the saddest reason of all is the author's death. Leighton Gage, who lived in Brazil , wrote a contemporary police procedural series set in Brazil whose main character is Chief Inspector Mario Silva. The first book, Blood of the Wicked, was amazing, but each successive book was even better than the one before it. 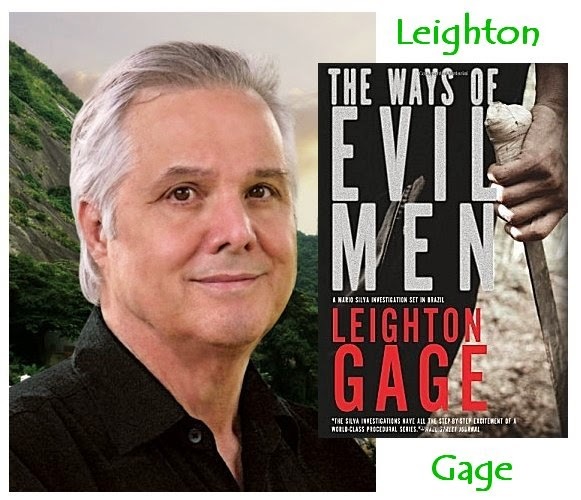 When someone likes to read mysteries set all over the world and asks me for a recommendation, Leighton Gage's books always jump to mind first. He immerses you in the country, its customs, and its politics in a way that is poetic and profound, and his cast of characters is superb-- a mix of intelligence, humor, cunning, and persistence. A Leighton Gage novel has always given me the best in entertainment and enlightenment. Pancreatic cancer stole a gifted writer from us much too soon, and no matter how many books I have stacked to the ceiling, I will always regret that a new Leighton Gage mystery is not among them. Well, those are my two choices. It's your turn. What mystery series do you miss the most? I may have missed some jewels, so... Inquiring minds want to know! As enjoyable as that particular TV series was (I stopped watching it a season or two after Tom retired), the books are so much better. Now... where have I heard that before?!? Ooh - this will take some time & thought. Perhaps it's a cliche, but I do miss any of Agatha Christie's series. 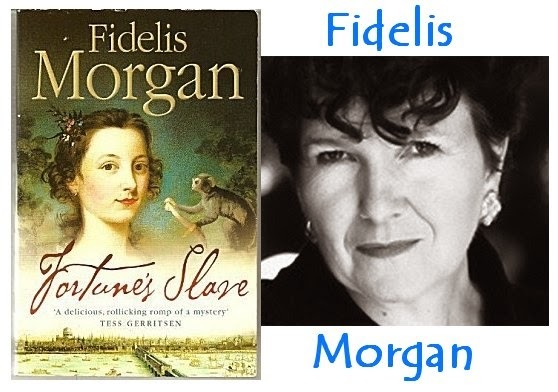 I've had Fidelis Morgan on my TBR list for a while, for her standalone The Murder Quadrille but now I realize that I must get to her sooner rather than later! Thanks for the nudge. Your remark about Agatha Christie ties in nicely with a future question, Debbie. I just downloaded The Murder Quadrille, and I look forward to reading it. Funny - the series by Rennie Airth and Will Thomas, respectively, used to be part of the answer to this question, right up until each of them had a new entry published this year (yay!). So I'm left with longing for the Julian Kestrel series, set mostly in England in the 1820s, by the late Kate Ross (and agree with all you said about the death of an author! ), and the California PI series by Stephen Greenleaf, which was beautifully written and about whose end I have never heard an explanation. Even though I've read only one, I will wholeheartedly back your recommendation of Eliot Pattison. I loved The Skull Mantra! I'll also second Kate Ross and her Julian Kestrel series-- excellent! I've never heard of Stephen Greenleaf, so I'm off to look him up. Thanks for the heads up! I love that series, too. I've been meaning to email her or at least do some googling to see what happened, but that's another one of those things that disappeared into the ether-- just like most of these questions I think of!